Fox is moving beyond their Fantastic Four disaster (No, not that one. Not that one either. Yes, that one.) and focusing on making a sequel. Why is this the hill that they’re determined to die on? 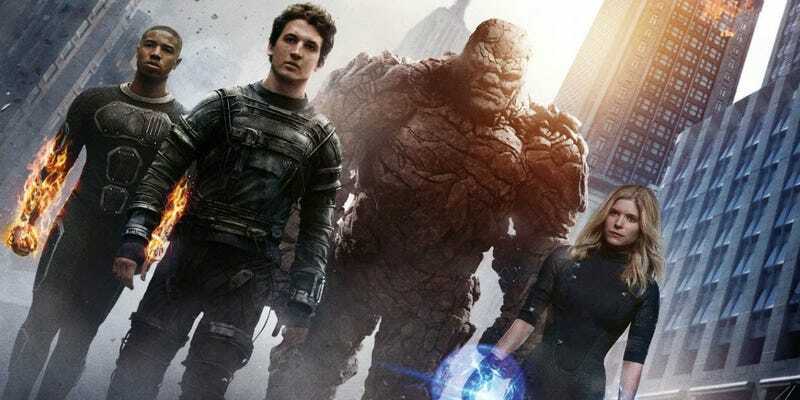 MTV caught up with writer/producer Simon Kinberg at the Toronto International Film Festival, who said he was “really focused on the next one.” Because we live in a time where a studio greenlit a sequel to Fantastic Four before the first one even came out. Every time you make a movie, you want to make a great movie. It’s a ton of time and effort you put in. We made that movie in the sweltering heat of summer in Baton Rouge and I was there every day of photography. You’re waking up every morning being like, I want to go make a great movie. It was an opportunity to do that. I do believe there is a great ‘Fantastic Four’ movie that we’ve made with that cast. So I’m gonna figure out what that is. ... We’re figuring out what that [sequel] movie would be. I’d like that to happen. I’d like it if Fox did lock itself into an endless reboot cycle for Fantastic Four movies. Maybe stop and think about what you’ve done for a bit.